A boy, 9 yrs old, diagnosed right-sided pyelorenal reflux, arteriosclerotic kidney, exacerbation of left-sided chronic pyelonephritis, and left-sided hydronephrosis in the second stage, has been provided treatment at SCENAR-center during 10 days. Before this the patient had undergone examination and treatment at hospital which produced little dynamics. Etiology of kidney cirrhosis was not defined. The boy was diagnosed possible congenial anomaly of the right kidney size. At the center the boy was conducted a course of SCENAR-therapy combined with use of TMB. The course of treatment made up 10 days. During SCENAR-treatment the patient’s kidneys were examined according to Voll’s method every two days, water regime and temperature survey were controlled every day. General well-being of the patient considerably improved after the first session. By the second session the water regime (ratio of drunk and excreted liquid) normalized. 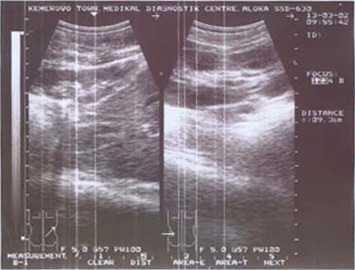 By the sixth session, examination according to Voll’s method showed normal functioning of the kidneys. Temperature normalized by the third session without using antibiotics. 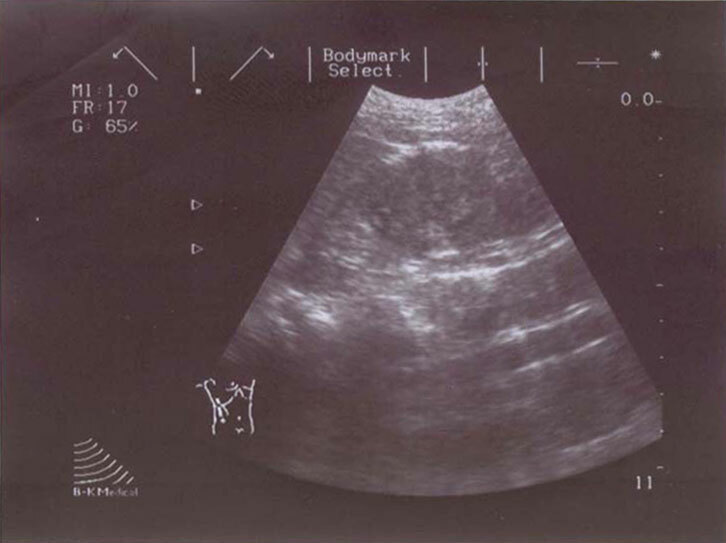 Ultrasonic examination of the kidneys after the course of SCENAR-therapy showed normalization of the left kidney size and clear contours of the right kidney. Analysis of the urine revealed no pathology. 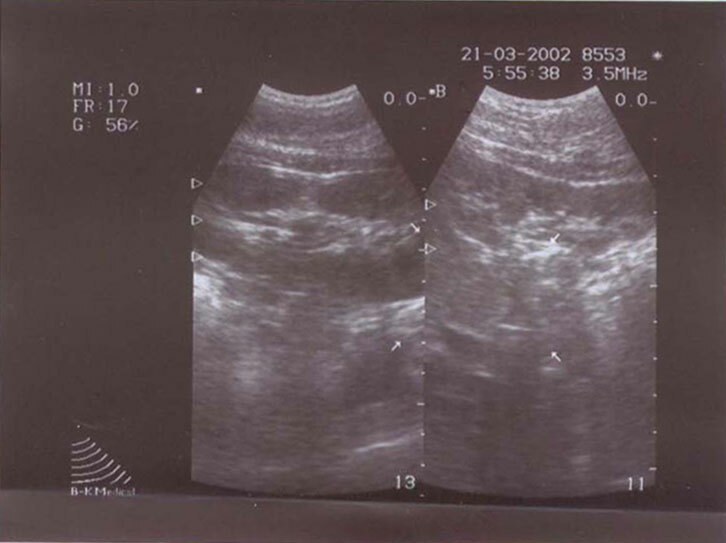 Now the patient is going to be conducted excretory urography to determine the improved functions of the right kidney after the course of treatment.